On a hot and humid day in the Fijian capital, the duchess, wearing a dress by Figue and carrying a woven bag made by women at the market, was greeted by crowds waving flags and cheering. Meghan was meant to spend 15 minutes in the market, but she left after only half that time. Mrs Salusalu, 50, a farmer from the village of Nukulau, more than 100 kilometres from Suva, has been a stallholder at the market for nine years, selling root crops, vegetables and fruits. Kensington Palace said there were "crowd management issues" but reporters at the market noticed nothing unusual about the crowds or their behaviour. Meghan, who looked slightly flustered during the hurried walk through the market, shook Mrs Salusalu's hand, and said: "It's very good to meet you", before moving on. The Duchess of Sussex used the speech to speak about the importance of access to education for all during her first official speech during the royal tour of Fiji, and only her second ever as a member of the royal family. 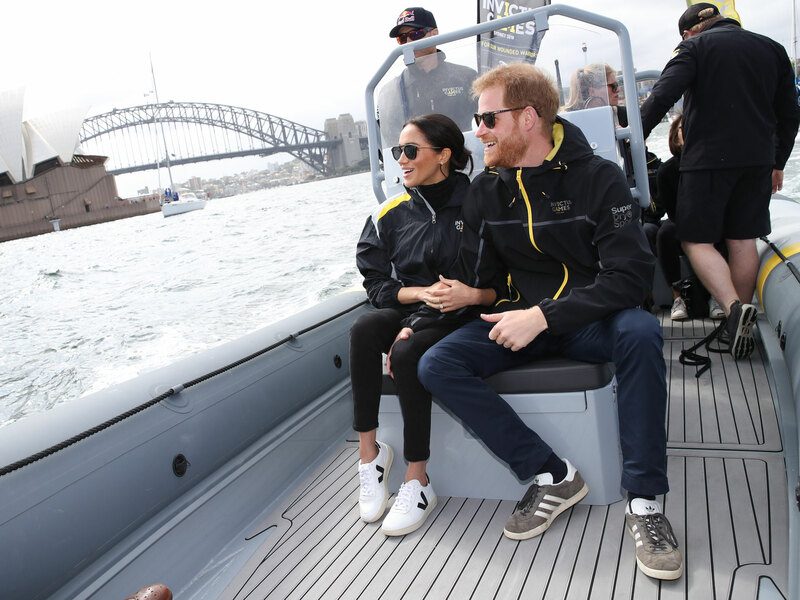 Earlier, it was reported that Meghan, who is about 12 weeks pregnant, will reduce her engagements during the ongoing 16-day royal tour. Harry was not scheduled to visit the market, and was instead unveiling a plaque at a forest site home to species such as the Fiji tree frog. The Duchess said it was through "scholarships, financial aid programmes and earnings from a job on campus" she was able to afford to attend university. While speaking to students and staff of the University of the South Pacific, Prince Harry also highlighted that in his new role as the Commonwealth Youth Ambassador his goal is to listen to young people's concerns and to learn about the work that they are doing to combat these issues and highlight young people's achievements to the highest levels. "Everyone should be afforded the opportunity to receive the education that they want, but more importantly the education that they have the right to receive".